New chief financial officer will guide LeasePlan USA through its smart growth objectives. “Our path forward will include new partnerships, along with investment in people, products and systems. We specifically sought a financial leader with the experience and discipline to oversee these activities and lead us through our transformation. Scott is the right person for the task." “We recently announced the launch of our new global What’s next campaign and ambition to offer Any car, Anytime, Anywhere. With something this significant, it’s critical we practice the financial discipline necessary to focus on smart growth, compliance and always keep the customers first,” said Jeff Schlesinger, president and CEO of LeasePlan USA. Adelsky comes to LeasePlan with more than 20 years of finance, tax, treasury and accounting experience, which include auto finance and logistics. 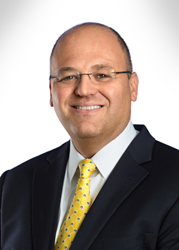 Most recently, Adelsky served as global vice president at CSM Bakery Solutions, and has also held senior finance roles with Americold Logistics and CarMax Auto Finance. Adelsky is the successor to David Dahm who recently stepped down from his role as CFO. LeasePlan is one of the world’s leading fleet management and driver mobility companies, with 1.7 million vehicles under management in over 30 countries. Our core business involves managing the entire vehicle life-cycle for our clients, taking care of everything from purchasing and maintenance to car re-marketing. With more than 50 years’ experience, we are a trusted partner for our corporate, SME and mobility service clients. Our mission is to provide what’s next in mobility via an ‘Any car, Anytime, Anywhere’ service – so you can focus on what's next for you. Find out more at http://www.us.leaseplan.com.